Once a month I introduce All Things Paper's carefully selected sponsors and promise their lovely sites are well worth the visit. LCI Paper has a wide selection of specialty papers and makes it possible for you to design invitations, party favors, boxes, or whatever paper project you have in mind. Here's just one example of their range of card stocks from around the world... texturized Japanese linen - so pretty. 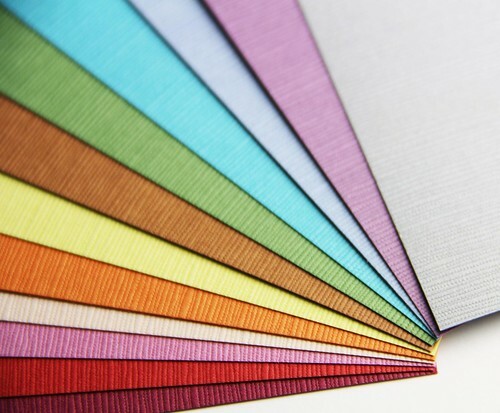 LCI Paper caters to the DIY market, offers expert advice, envelope printing, and fast delivery. 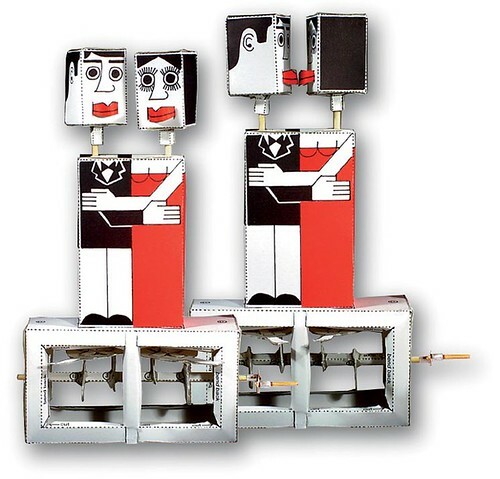 Andy Voda of Optical Toys [edit: no longer available] produces quirky cinematic and paper toys - both antique reproductions and brand new creations. 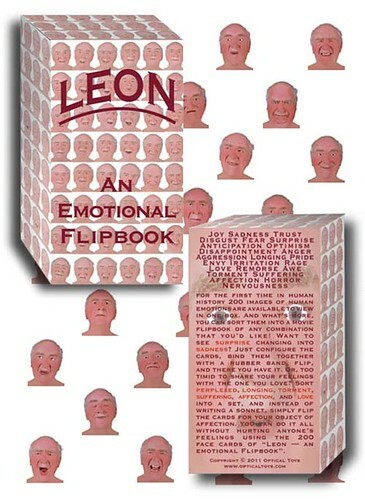 His fun flipbooks, automatons, and toy books are sold in specialty and museum shops (even the Smithsonian!) around the world, but now they can be ordered online or via regular mail. 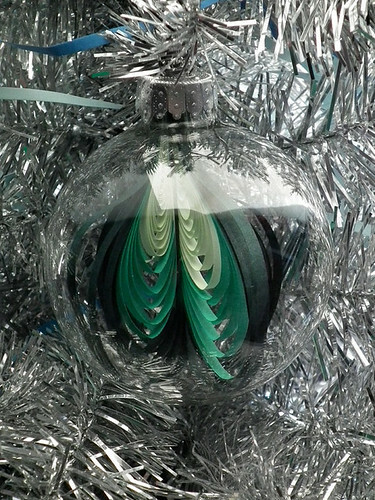 It's never too early to start thinking of holiday gift giving - enjoy a visit to Andy's entertaining site. ...and a series of original pop culture posters printed from photographs of Sarah's orignal art. 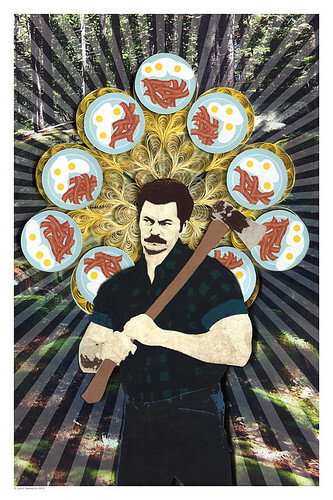 This design was created as a homage to Parks and Recreation television character, Ron Swanson... he's surrounded by a halo of delicately constructed quilling, and of course, plates of bacon and eggs. 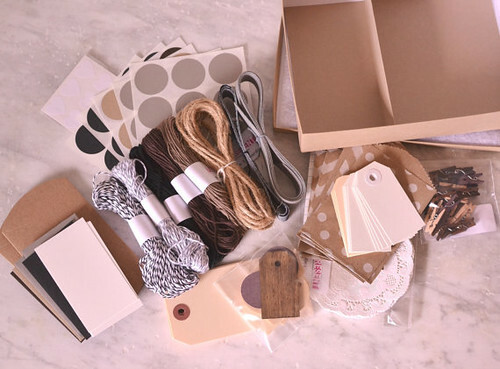 Melissa Bilieu's Etsy shop Wrap and Revel has everything you need to make your gift wrapping extra special. Each item is available individually, but she also offers convenient packaging kits. 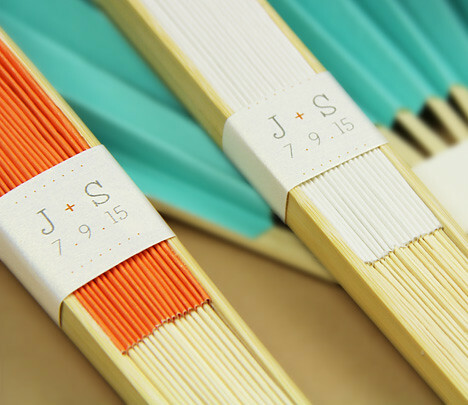 Bigger and better than ever, the color-coordinated kits include an assortment of boxes, stained wood tags, twill ribbon, bags, stickers, twine, mini-clothespins, doilies, and stickers. This one features popular neutrals - black, brown, white, ivory, gray, and kraft. ATP readers always receive 25% when using the code Paper25. Last, but certainly not least, Linda Thalmann's PaperPhine offers wonderful paper yarns that are suitable for crafting, gift wrapping, and decorating. 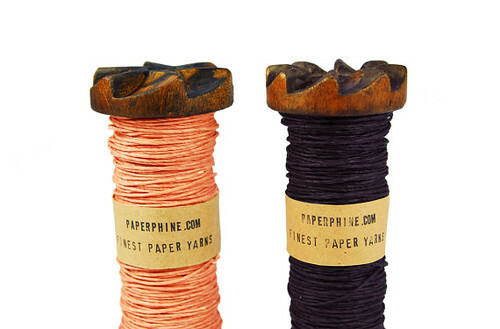 Here's just one example... fine paper twines come rolled on wooden braider's bobbins that have been sourced from old European weaving mills... they'll add a touch of style to your workspace. Some great sponsors. Had a good laugh at Optical Toys. Wow. You have so many wonderful sponsors. I have to go check them out.